Being coordinated by Tom McDonough, Karen Appler Finley, Kathy Montgomery Erkert, Bill Dawson, and Barbara Black Pollock. Contact Barbara with questions at bbp904@gmail.com. Designer Bag BINGO is brought to you by the Alumni Association and is held annually each fall towards the end of September. Entry can be purchased ahead of time and is limited to 400 people, so do not delay once you see the online sales open! This is a fun ladies' night out and features 10 rounds of regular BINGO, 2 special rounds, 2 special raffle bags, and light refreshments. Have you ever visited the Alumni Homecoming Tent? All alumni are welcome to the Homecoming Game each school year! Many alumni who RSVP will receive complimentary tickets, reserved seating, and a special giveaway item! All alumni attendees are invited to stop by the alumni tent before the game to say hello and receive giveaways. Join some of your favorite teachers and fellow alumni for a night of fun and fundraising at the annual Auction and Restaurant Fair. Enjoy the silent auction, raffles, cocktails, live music, and delicious items from area restaurants and country clubs. This event is held at the end of March each year- keep an eye out for the mobile bidding and ticket sales! 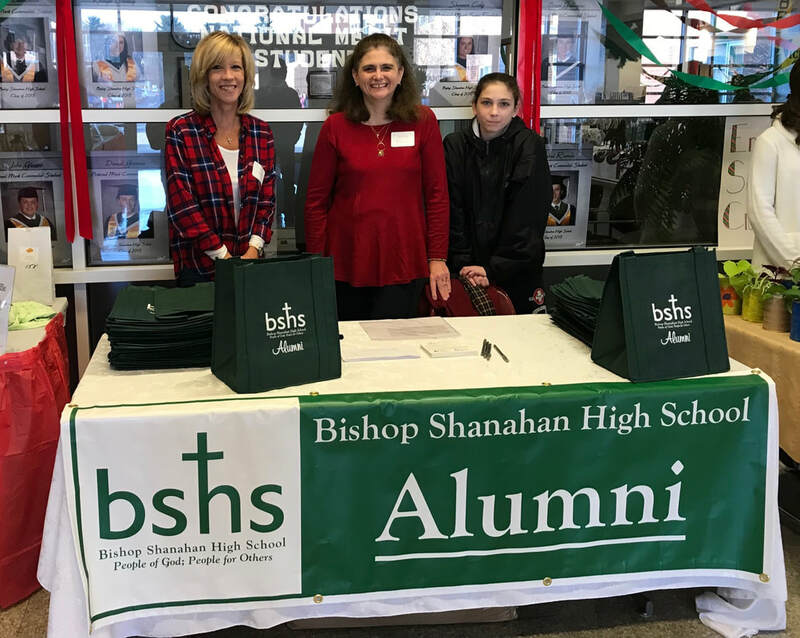 All alumni are invited to attend the annual Christmas Craft and Gift Show at BSHS on the first Saturday of each December from 9:00 AM to 3:00 PM! Be sure to stop by the special alumni table to receive a limited edition giveaway item just for alumni! This fun day is full of beautiful handmade crafts and original gifts to help you prepare for the Christmas season. You and your family are cordially invited to a very special Mass and continental breakfast at Bishop Shanahan High School! Reconnect with old friends and remember our beloved classmates who have gone before us. 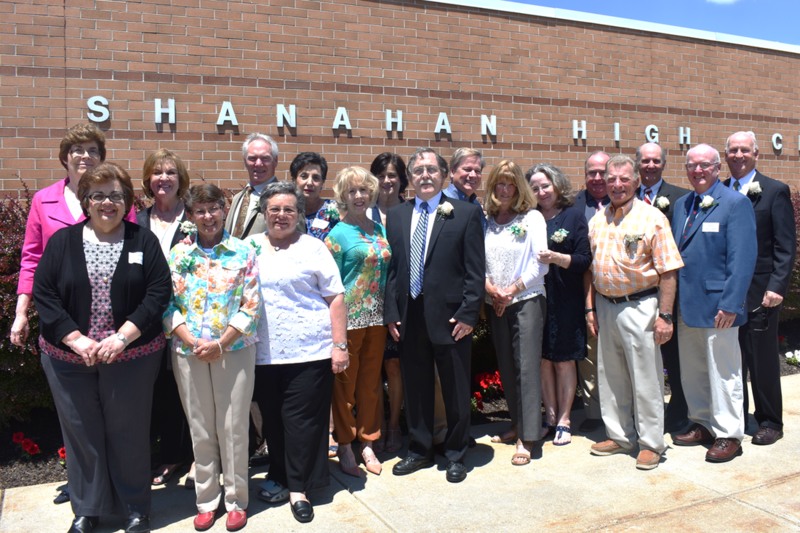 Each year in June, BSHS invites the 50th anniversary class to celebrate and reunite at the graduation ceremony, followed immediately by a luncheon. We are always honored by the presence of our 50th anniversary class, and recognize them during the graduation ceremony.